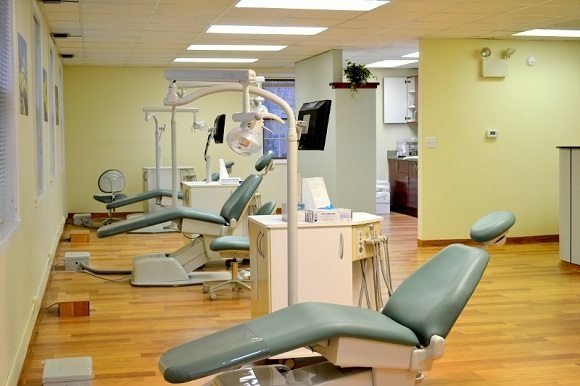 While your loved one is getting orthodontic treatment, you can relax in our comfortable and spacious waiting room. Read a magazine, watch TV or enjoy or free WI-FI internet. If you have a younger child, you can bring them with you to our office and let them play in our kid’s corner. When you come in for you complimentary orthodontic consultation, our orthodontist Dr. Yarmolyuk will go over different treatment options and alternatives. Our treatment coordinator will help you figure out insurance coverage and show you different payment options that will help make orthodontic treatment affordable to you and your family. At Orthodontic Experts of Arlington Heights we use digital X-ray system with greatly reduced radiation dose and instant images that let our orthodontist evaluate your problems on the spot. During your orthodontic treatment, sit back and relax in our modern and comfortable treatment chairs while enjoying light, relaxing music in the background. Welcome to our clinic. Our receptionists will guide you at the beginning of your orthodontic treatment.